What’s bugging you? What nags at you from the back of your mind? I receive up to 100 emails a day (sorry I can’t answer them all, but I read every one of them), and while they come from women all over the world, they’re surprisingly similar. 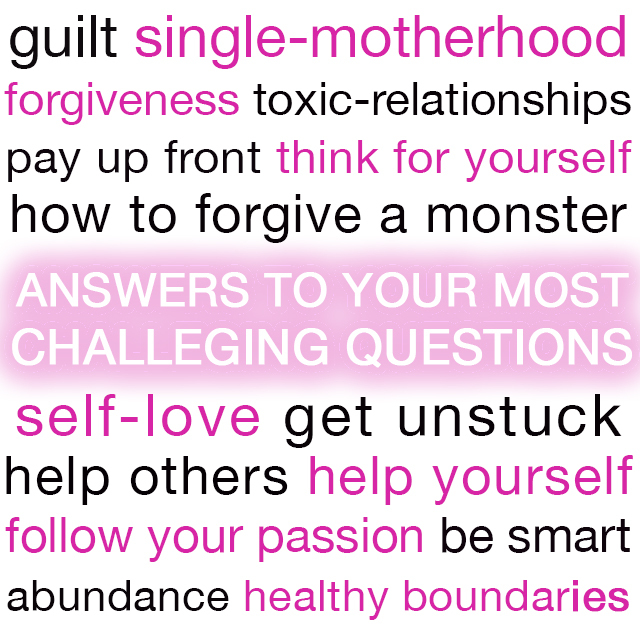 We all struggle with similar challenges and worries, things like guilt, single-motherhood, getting unstuck, forgiveness, boundaries and following our passions while still paying the rent. In this episode of The LIFE by Cynthia Occelli show, I’m answering the questions you ask the most. Forgiveness is Freedom: Here’s how to do it.